Yesterday The Daily Caller posted a story about Hina Alvi, wife of Imran Awan. Imran Awan and Hina Alvi were information technology staffers who worked for Representative Debbie Wasserman-Schultz and other Democrat congressmen. Hina Alvi was stopped at the airport on her way to Pakistan with a substantial amount of money. The FBI let her go. Following revelations about the FBI’s actions in the investigation into former Secretary of State Hillary Clinton’s email server and Department of Justice officials’ handling of the Trump dossier, attention has turned to the agencies’ apparently lax attitude toward the congressional cyber breach case as perhaps the most jarring failure to enforce laws in cases that overlap politics. Server logs of government computers backed up the OIG’s findings. Yet six months after the initial charges, no additional counts have been brought, raising the question of whether the DOJ is seriously investigating the potential national security breach. Hosko (Ron Hosko, the FBI’s former assistant director) said six months in, DOJ has all the tools it needs and cannot blame the House, and inaction can only indicate a lack of desire to pursue the case. “I don’t see it as [members] having the opportunity to press charges — the government is the victim,” Hosko said. If prosecutors don’t act, Hosko said, higher-level officials could consider moving the case. “It could be the Eastern District of Virginia has jurisdiction as well,” he said. Their next court date is March 8. Ron Hosko, the FBI’s former assistant director, said the agent on the case is “getting marginalized on the thing, he doesn’t have the bigger picture.” He said the facts in the case plainly call for the resources of both the FBI’s counterintelligence division and the public corruption unit. 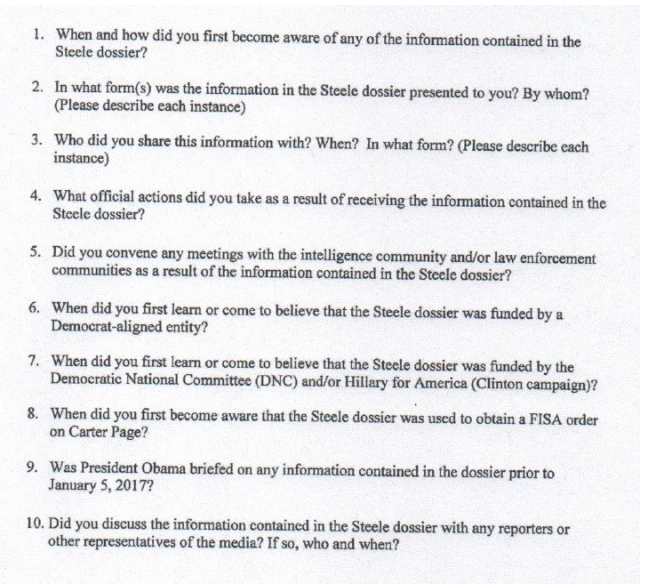 Peter Strzok, who sought to close down the investigation into Clinton’s emails before the intelligence community IG found classified materials, and who repeatedly voiced his support for Democrats, was deputy assistant director of the FBI’s counterintelligence division. It is becoming very obvious that the corruption at the top of the FBI has been there for a while and has been working against the interests of the American people. It is long past time to clean house. Notice that we haven’t heard anything about this scandal from the mainstream media for a while. 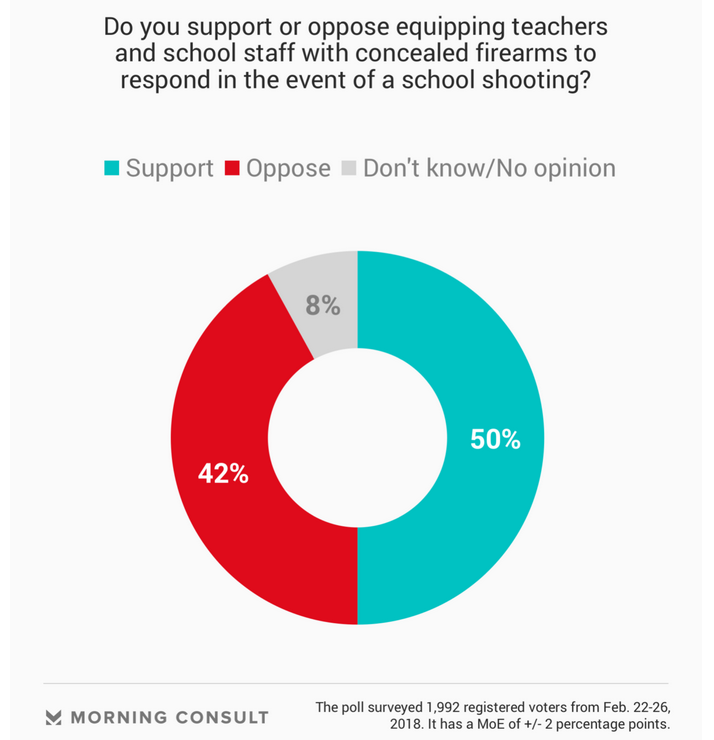 Today The Washington Examiner posted the results of two polls regarding the National Rifle Association (NRA) and arming teachers in their classrooms. The results are somewhat surprising considering how the media has covered the recent school shooting in Florida. Gun-free zones are simply a message to those wanting to harm others that there will be no opposition to them in that zone. It creates an area where our children and their teachers are sitting ducks to a shooter. We have armed security guards in banks, at airports, and other public places where valuable things are. Shouldn’t we provide the same protection for our children? We should also make sure that any armed guards know to run toward the gunfire–not simply let it happen. 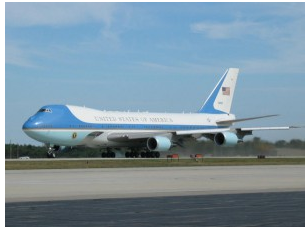 The Gateway Pundit is reporting today that President Trump has reached a new deal with Boeing Corporation on the construction of two new Air Force One airplanes. The article states that the president reportedly saved the country $1.4 billion on the deal. Admittedly, $1.4 billion is only a small dent in national expenditures, but it is still a move in the right direction. Victor Davis Hanson posted an article at National Review today about Russia’s relationship to American politics. The timeline of the article begins about 2009. The article lists the missteps of the Obama Administration regarding Russia. It notes that Russia successfully annexed Crimea with little response from NATO. Russia essentially took control of eastern Ukraine. Russia also exerted enough pressure to prevent America from supplying the Czech Republic and Poland the missile defense systems they had been promised. Inviting Russia into the Middle East is not a recipe for peace. The article also cites other instances of Russia managing to create chaos in America. Please follow the link to read the entire article for the full picture. I would disagree that the Russia has embarrassed American democracy–I think we have done that ourselves. The election of President Trump so unhinged the media and the Democratic Party that they forgot the rules of fair play. I understand that during political campaigns sometimes things go on that shouldn’t, but the Clinton campaign overstepped the bounds of running for office in ways that we have not seen before. At least during the Nixon administration when Nixon tried to use the government to collect information or government agencies as political weapons there were enough people in government agencies with integrity to tell him no. Evidently that is no longer the case. The shooting in Parkland, Florida, was horrendous. There have been a lot of people placing blame all over the place for that shooting. I am not interested in getting into a blame game, but I think we need to look at a series of decisions over the past five years that created the environment for the shooting to take place. The Conservative Treehouse posted an article yesterday about some decisions made during the past five years that explain some of the mistakes made in assessing the threat this student posed and dealing with that threat. Within the conversation Mr. Bell (Broward County Sheriff Union President Jeff Bell) points to the 2013 Broward County School Board policy known as the “Promise Program“. The Promise Program is the collaborative policy between all county officials the school superintendent, school board and law enforcement that instructs officers to not arrest high school students. This policy sits at the center of understanding why Nikolas Cruz was not intercepted by law enforcement. This is political correctness run amok. If the statistics are kept under control, the school looks good. Meanwhile, the safety of the students is not a consideration. Before we totally dismiss those responsible for The Promise Program as idiots, we need to look at what was reported by the media in the early days of the program. Essentially they didn’t stop the crimes–they just stopped arresting the students who broke the law and avoided letting them face the consequences of their actions. That’s not a great way to prepare students for a successful life. The media thought the program was wonderful and published a glowing report of it. So much for the wisdom of the media. This is the place where common sense seems to have left our educational system. We need to go back to the days of winning and losing and facing the consequences of your choices. It’s time to put sensible people on our school boards to bring about the necessary changes that will make our schools safer. Chicago is not known for the integrity of its elections. There is an urban legend that is probably true that Chicago allowed John F. Kennedy to become President through creative voting methods. Keeping that in mind, I suppose I should not be surprised at the latest wrinkle in the election process in that city. On Friday the Illinois News Network posted an article about a new ID card that will be available primarily as a municipal identification card for illegal immigrants. I have no problem with issuing identification cards to anyone who wants them, but unfortunately these cards can be used as valid identification to register to vote. The CityKey will be a government-issued photo identification card available to all Chicago residents regardless of immigration status, criminal record, housing status, or gender identity, according to the city clerk’s website. State Board of Elections spokesman Matt Dietrich says the final call on what documents to accept rests with local officials. Dietrich says there is no state requirement to prove citizenship while registering to vote. He’s not expecting a surge in potential voter fraud cases because the process will remain the same. I don’t mean to argue with Mr. Dietrich, but I am not convinced that voter fraud (from illegal aliens or dead voters) is not a problem. Why am I not convinced? Let’s take a look at some voter registration statistics from North Carolina. In early November of 2016, North Carolina had 6,864,841 registered voters. On January 2017, North Carolina had 6,733,025 registered voters. What happened to those 100,000 plus voters? Is it possible that at least some of them were fraudulent voters removed from the voter rolls before they could be investigated? At any rate, we have an integrity problem with our elections, and the ID card that the city of Chicago is issuing is going to exacerbate that problem. The CityKey is another really bad idea from a city that has been poorly governed for a very long time. On February 18th, Kevin McCullough posted an article at Townhall suggesting seven ways to end school shootings. Had the appropriate authorities followed up on the warnings about the shooter in Florida, things would have been very different. Had the armed police at the scene been willing to enter the building, things would have been very different. Had random teachers had training and weapons, things would have been very different. Any one of these things might have reduced the number of people shot. To me the most important item on the list is the enforcing of current laws. We don’t need more gun laws–criminals won’t follow them anyway. We need to enforce the laws we have, and our law enforcement agencies need to act on the leads they are given. Yesterday The Conservative Treehouse posted an article about the latest maneuver by Special Prosecutor Robert Mueller. Their legal maneuvers are not illegal, but they are not really what this particular investigation is about. Nothing about this has any relationship to President Trump; however, the DOJ cronies under Special Counsel Robert Mueller, Greg Andres and Andrew Weissmann, made a slick move today by unsealing indictments in Virginia against Paul Manafort opening up two legal fronts in an effort to wear down Manafort’s financial ability to defend his interests. The maneuver comes after Team Mueller lost DC District Judge Contreras, who was replaced by a far more critical Emmet Sullivan, and who is forcing Mueller’s team to show all exculpatory evidence (Flynn case). The new indictments against Manafort were not in DC where they filed the first set but in Northern Virginia District Court. If the new indictments were filed in DC it is likely they would have been consolidated under the current judge. Filing in Virginia makes Manafort fight in 2 separate courts. We’ll have to wait and see if Mueller moves to have the entire case transferred to Northern Virginia or if Mueller drops the initial DC case. Of course Manafort can, likely will, petition the court to move both cases against him into the DC circuit. This is all about convincing Paul Manafort to testify that there was collusion between Russia and the Trump campaign–it doesn’t matter that there is no evidence of any collusion of that there was no collusion, if Mueller can get Manafort to testify that there was collusion, then there is a witness to collusion. This case has wandered so far from what was supposed to be investigated it is ridiculous. Hopefully Congress will develop the backbone to put a stop to this charade soon. It is costing American taxpayers endless money and doing nothing but further divide the country. I guess that means the Russians have succeeded in creating the chaos they intended to create. The current media shiny object is the parents and children impacted by the school shooting in Florida. These people are truly traumatized, I understand that, but they are being used to push a gun-control agenda which has no relationship to the horrific event in Florida. John Hinderaker at Power Line posted an article today about some of the facts about the shooting in Parkland that are not getting the consideration that they should. Another of the woman’s stunning revelations: Cruz was obsessed with ISIS. “He’s so into ISIS and, um, I’m afraid this is so something’s gonna happen,” she said, describing how Cruz would post pictures of himself dressed up as an Islamic terrorist. She also recounted how Cruz would frequently post pictures of himself donning a “Make America Great Again” cap. The caller provided the agent with usernames for two of Cruz’s social media accounts, encouraging the FBI to comb through the pages. Somehow the FBI did not sufficiently follow up on this lead. In addition to the armed school resource officer, three other Broward County sheriff’s deputies were outside Marjory Stoneman Douglas High School during the shooting crisis and didn’t enter. 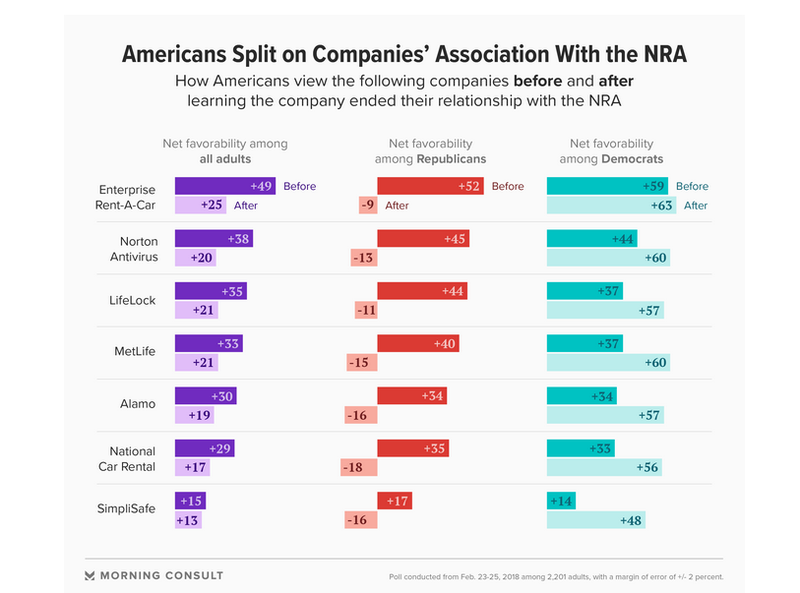 Obviously neither the NRA, nor gun control was the problem in the Parkland shooting. Special Prosecutor Robert Mueller has indicted Paul Manafort and Rick Gates according to The Gateway Pundit. As stated in the article below this one, Special Prosecutors indict people. It’s what they do. They indict people for anything they can find whether or not it is related to whatever they are supposed to be investigating. Dirty Cop Robert Mueller’s Special Counsel indicted former Trump campaign manager with 32 bank fraud charges. The charges were based on his business ventures from 2006 through 2013 and one from 2015. The Special Counsel of liberal partisans is out to destroy this man. What in the world does this have to do with Russian collusion in the 2016 election or with President Trump? Monday morning, a group of taxpayers and I were fortunate to sit down with Representative Walter B. Jones and ask him questions about his votes and his views. The interview will be aired on 107.1 WTKF The Talk Station on Sunday at 11am and 8 pm. You can stream the interview if you live outside the listening area. The interview will also be available on the Coastal Carolina Taxpayers Association website later in the week. Representative Jones has been a warrior for responsible government spending since he has been in Congress. 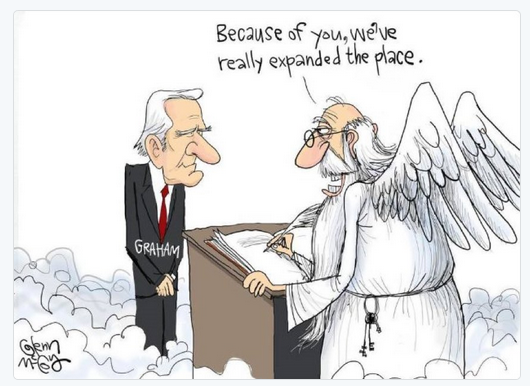 His voting record reflects that. He will not support a bill that increase the deficit, regardless of what is in the bill. 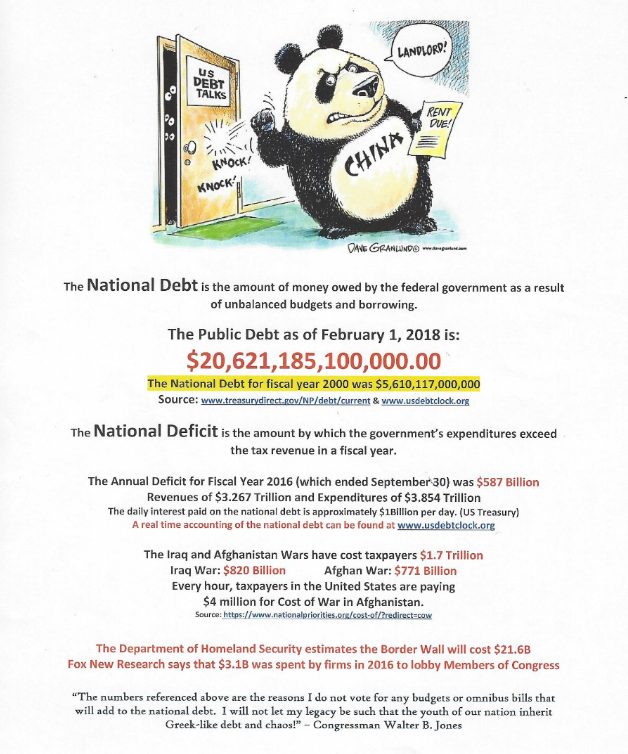 This is the handout he gave us about the deficit. I think all of us need to read it carefully. We need to understand the consequences of the unbridled spending that is currently the norm in Washington. Americans need to learn to live within their means at home and at the federal and state levels. Most Americans carry some level of personal debt and do not realize that as the economy improves and the fed raises interest rates, the cost of that debt (and the cost of the national debt) will increase. It is time we all learned to spend responsibly–both at home and in government. Todd Starnes posted an article on his website yesterday about a sixth grade class at North Richland Middle School in Texas. Your dentist is HIV positive. “This is not something that is school-appropriate,” she told the newspaper. And what HIV-positive dentists and transsexual boyfriends have to do with Black History Month is beyond me. As the production of electric cars increases, the demand for cobalt for those cars increases. On Monday, Bloomberg News posted an article on some of the mines that supply that cobalt. The article also notes that as much as $2.5 billion of cobalt a year is being smuggled across the border into Zambia. I am sure there are safer ways to mine cobalt. The fact that children are being used in these mines in this dangerous work is horrendous. I realize that the culture of the countries involved may allow for children to do this work, but this is one situation where the United Nations might be useful. There are organizations within the United Nations that are supposed to protect children–they need to at least make a statement on the use of children to mine cobalt. 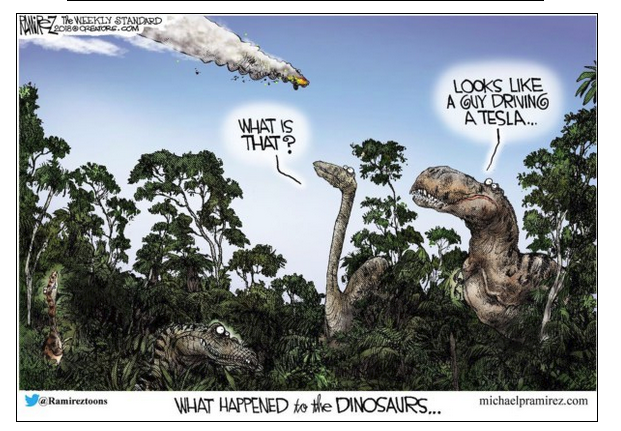 The idea of electric cars is intriguing; however, we need to look at the cost of creating this technology. The Gateway Pundit posted an article today about some of the events that have taken place and will take place as a result of the Florida school shooting. These events are anything but spontaneous, and they represent a manipulation of teenagers and of the news media that is truly disgusting. Please follow the link to read the entire article. I will try to highlight some of it here. …From our source: One of the students leading the current charge called the child of our contact up and asked if they were willing to workshop Anti-Trump/Anti-Gun lines, publish on their Twitter account, and possibly go on television with a similar statement. The term “useful idiots” comes to mind. This is the reason we need to arm our children with critical thinking skills, otherwise they will wonder in fifteen years where their freedom is and what happened to their country.